Like I mentioned with my September Bee Improvisational blocks, I’m really behind. But, I did get both of my September bees taken care of and mailed off last Monday. So glad to have those off my plate! This month (last month) Lisa asked us to make blocks with a “string” theme, whatever that means to us. 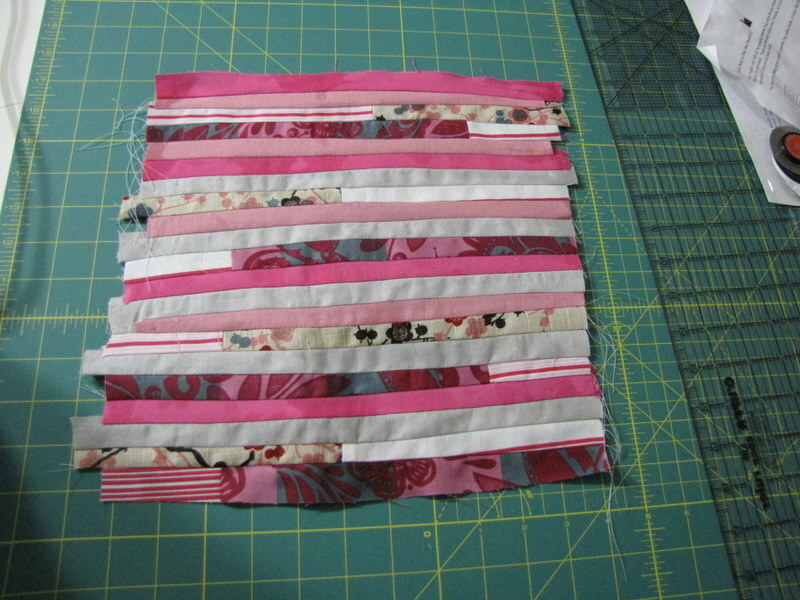 I love this 1st block, I sewed together strips of the patterned fabric and just alternated fabrics, leaving 1/2″ rows all along this 10.5″ block. I love it! It’s not terrible, but it’s pretty basic. I think it has an understated coolness, though. Yeah, that’s what I’m sticking with. 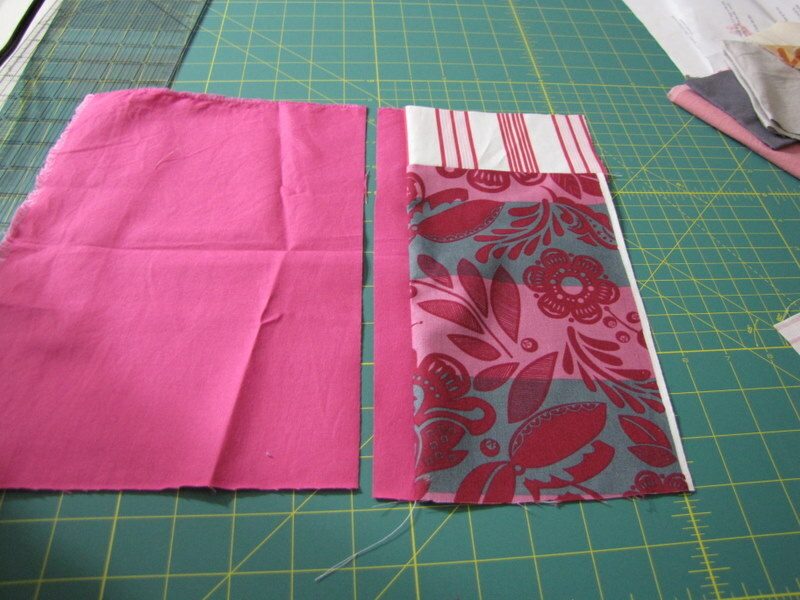 I sewed 2 patterned fabrics together and then sewed them to a hot pink solid. 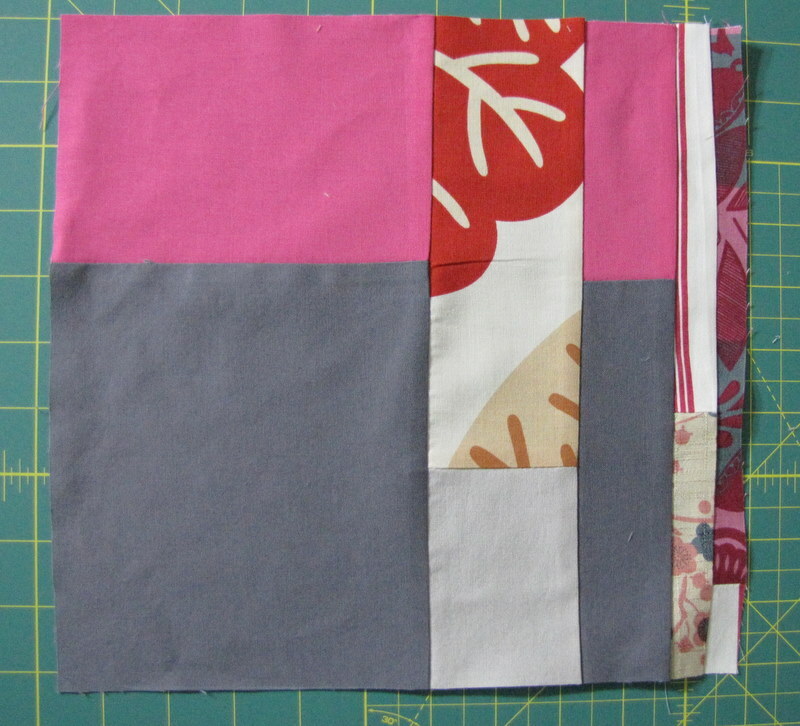 And trimmed to 3/4″. 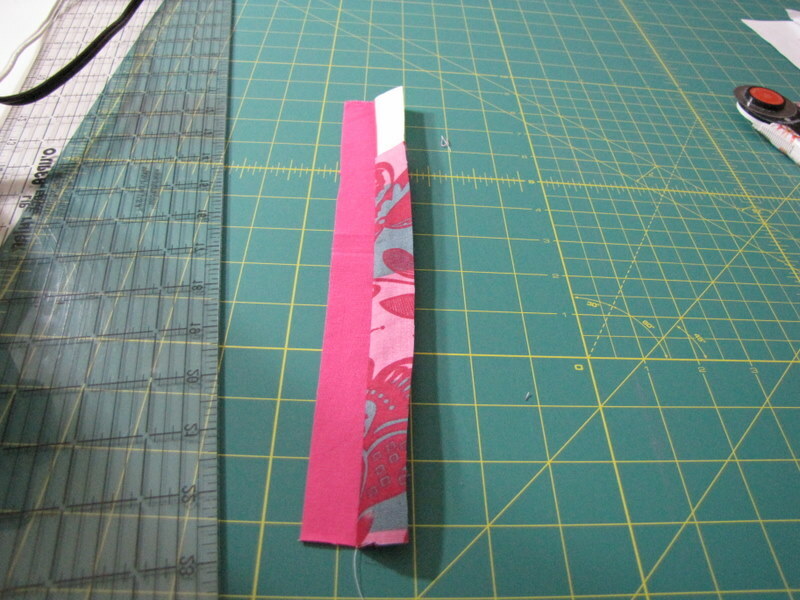 I always trimmed to 3/4″ so when I sewed on the next strip (with a 1/4″ seam allowance) I’d be left with 1/2″ showing. Then I kept going and going. 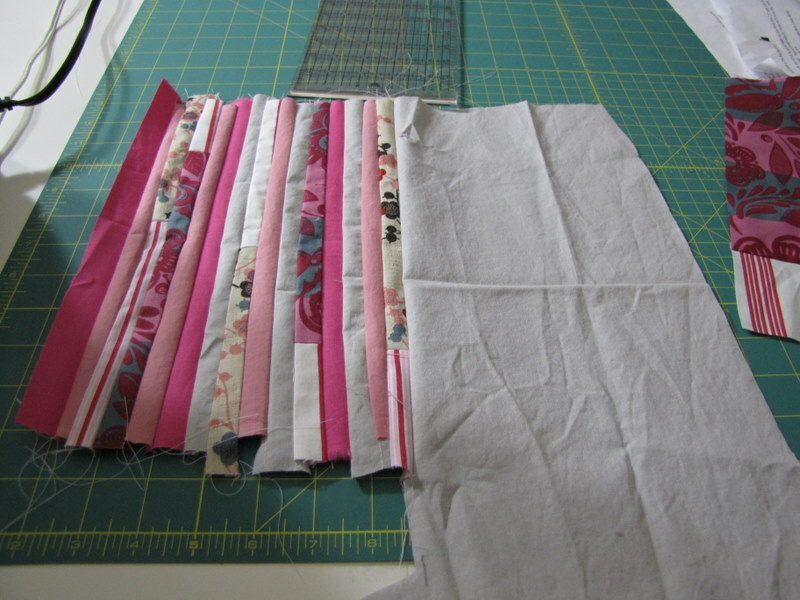 When it was a little more than 10.5″ long, I stopped. I ironed. 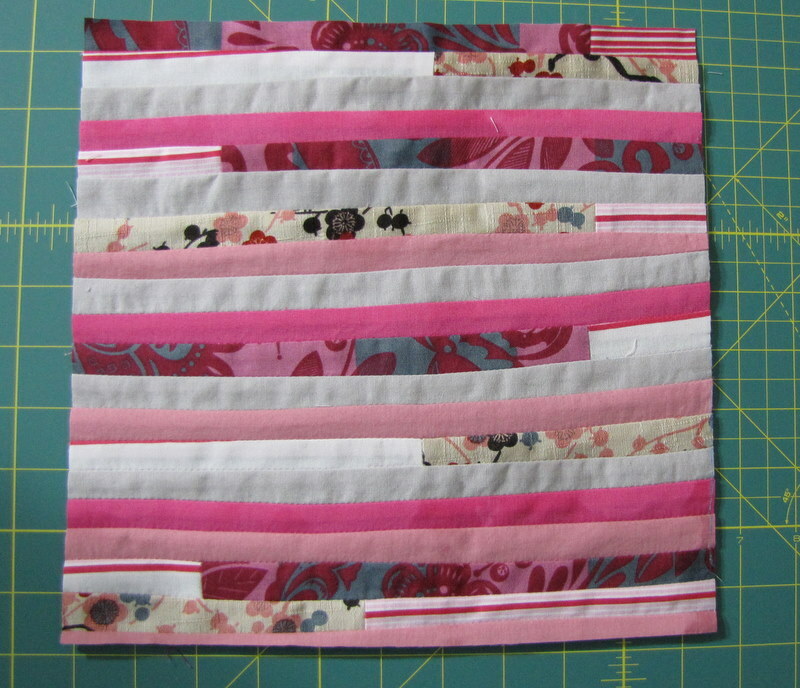 Then I trimmed the whole thing down to make the finished block in the very 1st picture.